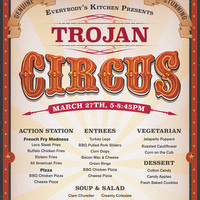 Everybody's Kitchen 635 W. 35th st.
Join us for a funfilled Circus themed dinner. The circus is coming to EVK on March 27th! Snack on Pizza, Funnel Cake Fries, and more.